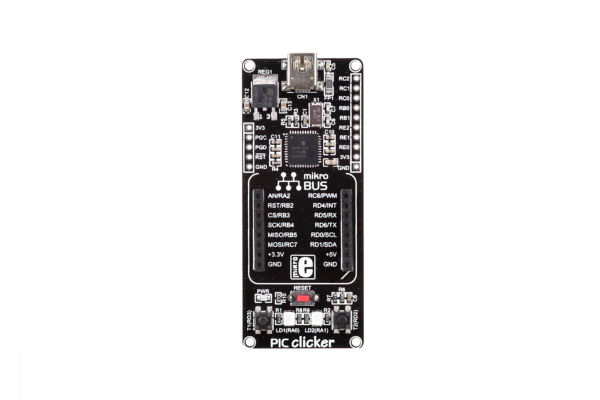 PIC clicker is an amazingly compact starter development kit which brings innovative mikroBUS host socket to your favorite microcontroller. 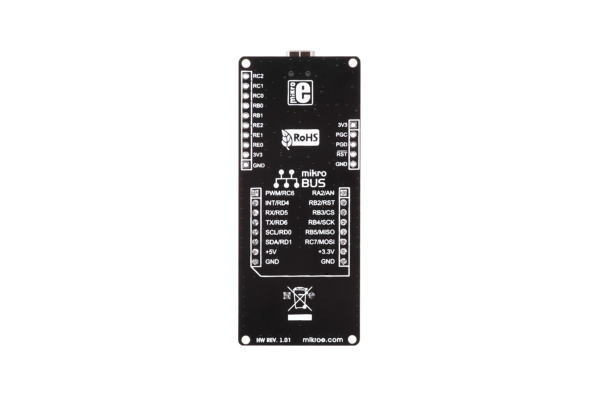 Connect the desired Click board to enhance it with awesome features. 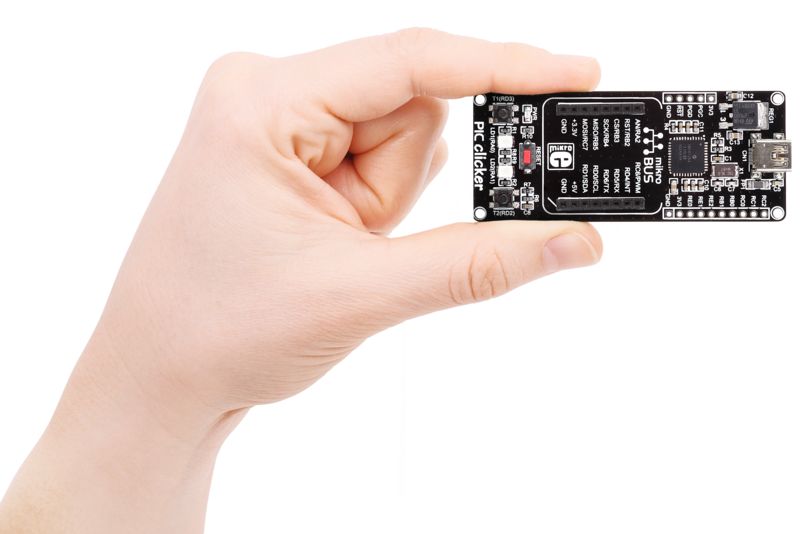 Its preprogrammed with fast USB HID bootloader. 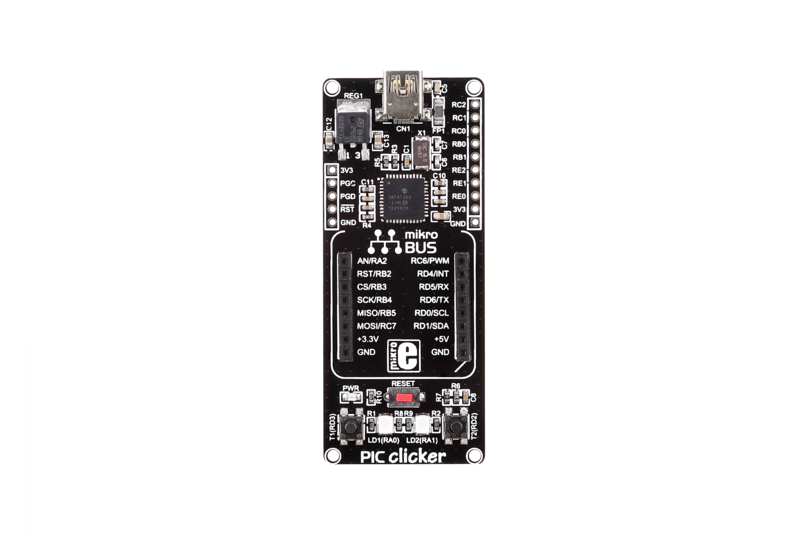 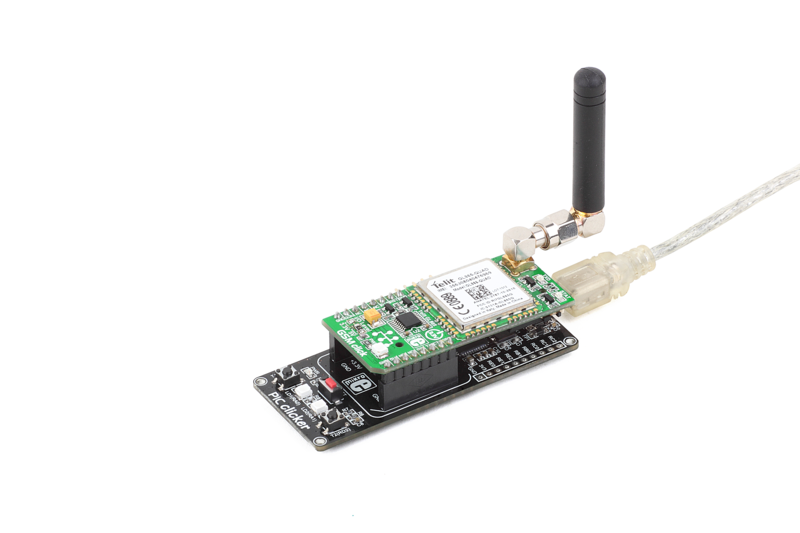 Use it to upload your firmware and clicker will become a working device. Board features all you need to get started: PIC18F47J53 microcontroller, USB connector, two LEDs and push buttons, reset button, mikroProg connector and headers for interfacing with external electronics. 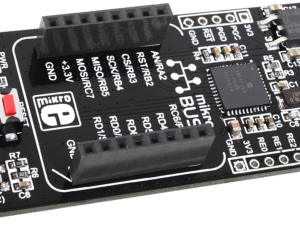 NOTE: If programming with mikroProg for PIC, dsPIC, PIC32, make sure to use mikroProg Suite for PIC 2.29 and above.